Have you heard of Native Deodorant? I had not until recently but that is mainly because natural deodorants were not really on my radar. If I’m being honest, I’ve used the same deodorant for years and have never truly considered making a switch…that is until I tried Native Deodorant. In an effort to clean up my personal care and beauty routines, I have began to educate myself on many of the products that I have been using and I am slowly replacing them with clean aluminum free skincare & self care products. If you read articles on the negative impact that aluminum can have on your health, you will quickly begin to reevaluate what products you use on your body. I’m certainly not an expert in this field but I feel confident in my decision to us Native Deodorant…its a small change that makes a big impact. Switching to a natural deodorant does not happen overnight…in fact, it may take a little time for your skin to adjust to it’s natural ingredients. I’ve been using Native Deodorant for a few weeks now and I feel like my skin has adjusted well. It has taken me some time to break away from my normal routines + years of using the same deodorant but I’m so glad that I stuck with Native and gave it a fair chance to work for me. Initially, I felt as if I needed to apply it throughout the day but now, one good morning application gets me through my entire day. I was a bit skeptical as to whether or not Native would keep me dry and fresh during and after a workout session and I’m happy to say that it far surpassed my expectations! That’s a true test of a great deodorant if you ask me. I’ve been using one of Native’s classic scents, Lavender & Rose, and I’m going to be ordering some of their other classic scents to try, like their Coconut & Vanilla scent! They also offer seasonal scents which are fun too. Native Deodorant is made with natural ingredients (void of aluminum, parabens, & sulfates), is gentle on your skin, and is EFFECTIVE! Not to mention, it is made in the US and it ships for free…even more of a reason for you to give it a try! 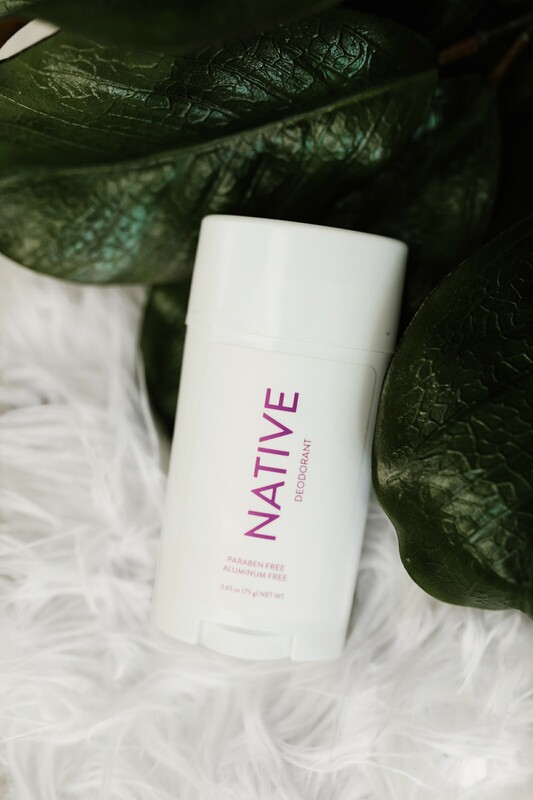 If you have been thinking about switching to a natural deodorant, you must give Native a try! Head to Native’s website to read even more positive reviews and to try some for yourself. Once you give it a try, let me know what you think! I’d love to hear about your experience with Native Deodorant! As always, thanks so much for stopping by…see you back here real soon! Today’s post is in collaboration with Native Deodorant, all opinions are 100% my own. All photography by Madi Flournoy Henderson.